The RailBlazers. Aluminum Railing system is designed with an emphasis on style, durability, and quality. Our patented railing system is engineered to be safe, DIY-friendly and easy to install. Made from powder-coated aluminum for low maintenance and lasting performance. Customize with standard or wide aluminum pickets, glass panels, decorative spacers, and more! Available in black and white. Get beautiful, PRO quality results for any deck, patio, or balcony.The Post Attachment Kit secures each post to your wood deck. The Kit is heavily galvanized for long lasting durability. All required hardware is included. Step-by-step installation guides, videos and other resources are available to guide you through your installation. For use with: End Post, Mid Post, Corner Post, and Stair Post. Repair small holes, dents, nicks, scratches or worn edges with this universal white, water-based latex paint pen. Quick, convenient and no mess. CeilingMAX quickly and easily covers old tile ceilings, floor joists, plaster or drywall. Using snap-in technology, CeilingMAX works with any standard 2' x 2' or 2' x 4' tiles. Manufactured with high-grade vinyl, CeilingMAX eliminates rust and scratches without demolition cost, mess and downtime. CeilingMAX provides an immediate acoustic solution and with surface mounting, saves up to 6 inch of ceiling height. Easily freshens-up the look of your existing grid system with an assortment of finishes to match Fasade tin-style ceiling panels. These Backsplash Accessory Kits allow you to apply your backsplash product and trims, finish the edges of your Fasade Backsplash and Wall Panels and create a unified, integrated appearance. The kits are available in the same finishes as Fasade panels. Easy to install, these finish components add a professional touch to your project. White Post Attachment Kit The RailBlazers. Aluminum Railing system is designed with an emphasis on style, durability, and quality. Our patented railing system is engineered to be safe, DIY-friendly and easy to install. Made from powder-coated aluminum for low maintenance and lasting performance. Customize with standard or wide aluminum pickets, glass panels, decorative spacers, and more! Available in black and white. Get beautiful, PRO quality results for any deck, patio, or balcony.The Post Attachment Kit secures each post to your wood deck. 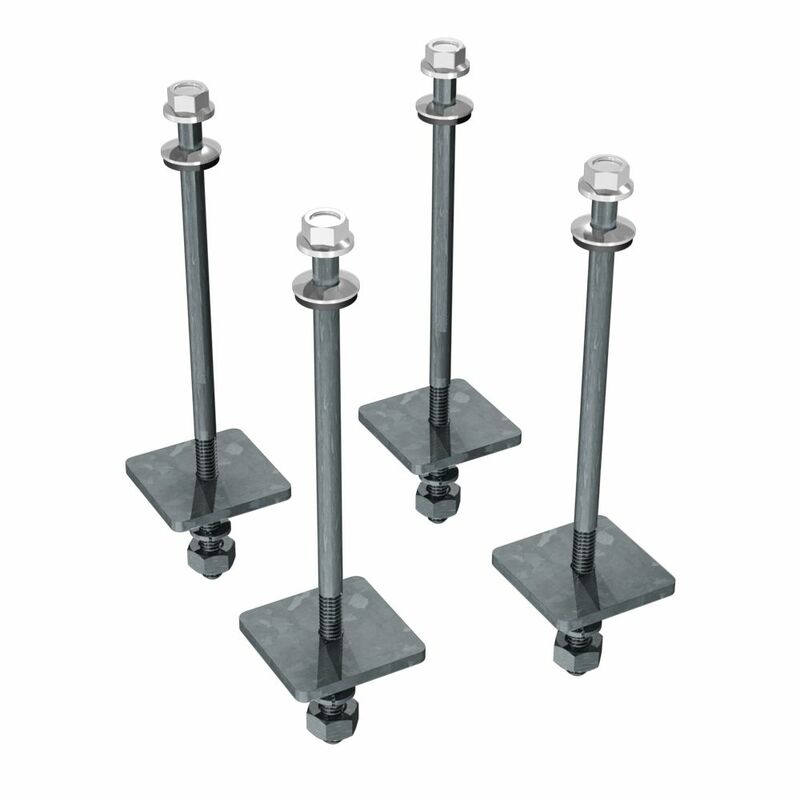 The Kit is heavily galvanized for long lasting durability. All required hardware is included. Step-by-step installation guides, videos and other resources are available to guide you through your installation. For use with: End Post, Mid Post, Corner Post, and Stair Post.